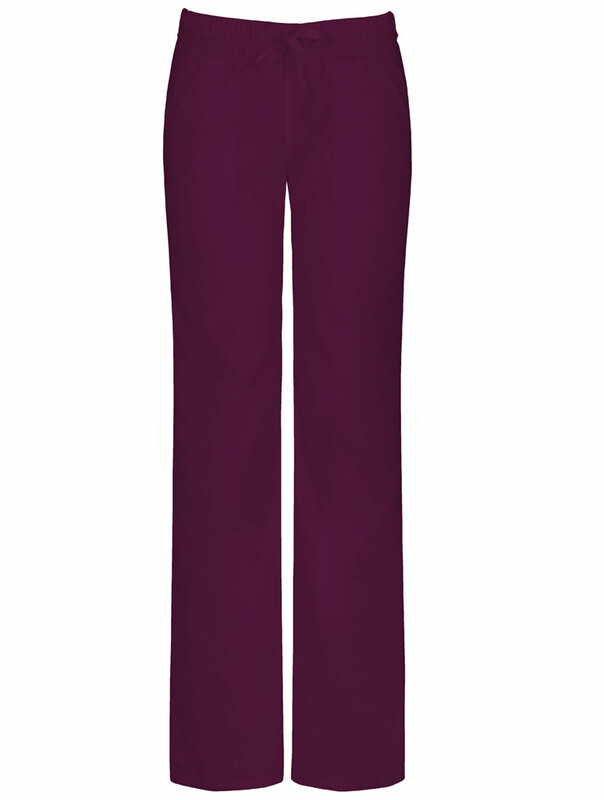 A low-rise, straight leg pant features an adjustable drawstring with an all-around elastic. Fit and leg descriptions are printed on the interior back waistband. Also featured are stylized seaming, two front pockets, a single back pocket and side vents. Inseam length: 31"